Packed as an assortment (2 of each title), or to your specifications. 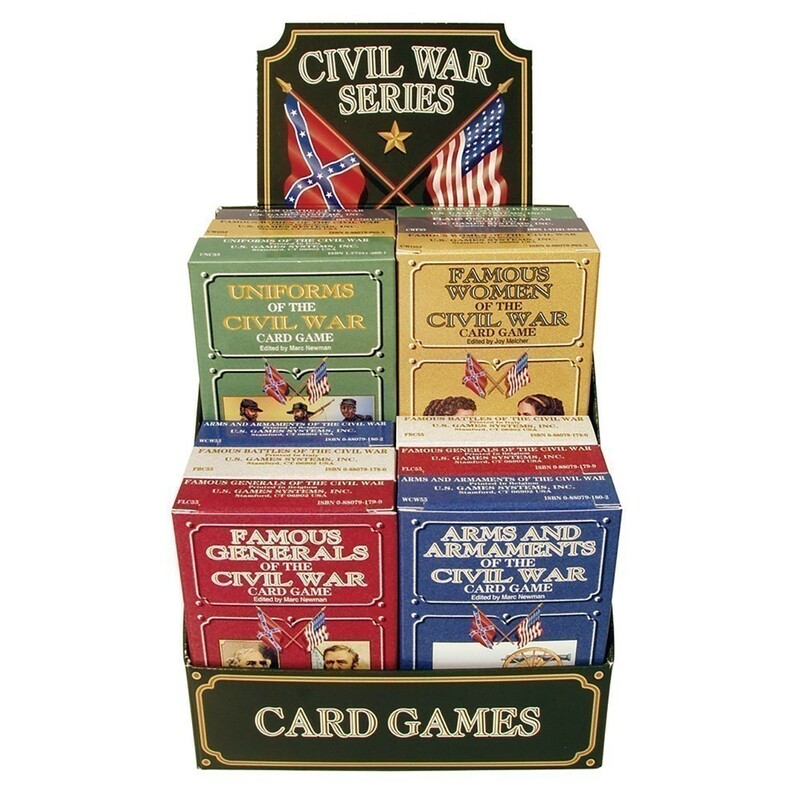 This is a 12-Deck Civil War Series display. Decks also sold separately: Arms and Armaments of the Civil War, Flags of the Civil War, Uniforms of the Civil War, Famous Battles of the Civil War, Famous Generals of the Civil War, and Famous Women of the Civil War.